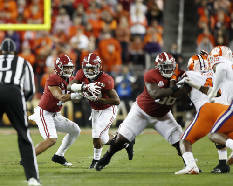 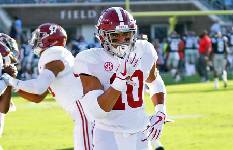 Spring football practice may have ended one week early for Alabama junior right tackle Jedrick Wills. 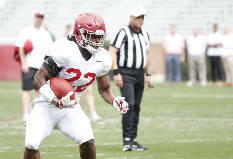 Saturday's scrimmage marked Alabama's eighth of 15 spring workouts allotted by the NCAA. 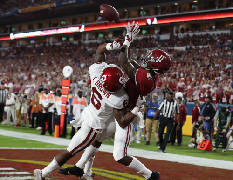 Six years ago, Nate Oats was a high school coach and math teacher making a five-figure salary. 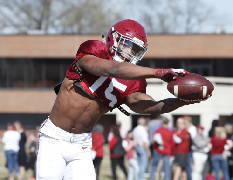 The Terrell Lewis comeback journey has been placed on hold. 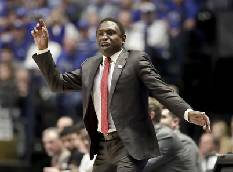 Avery Johnson led the Crimson Tide to a 75-62 record in his four seasons, which included one NCAA tournament trip. 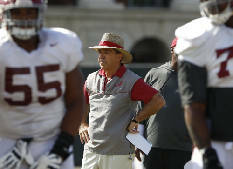 Nick Saban has discussed "the process" since arriving as Alabama's football coach in 2007. 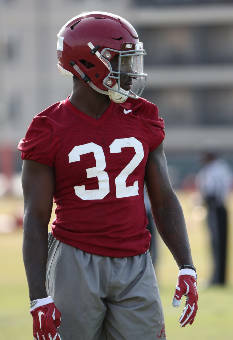 Dylan Moses, once a five-star linebacker in Alabama's 2017 signing class, has hardly disappointed. 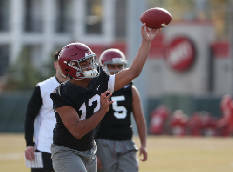 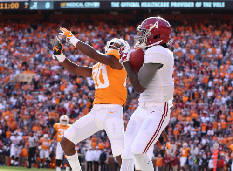 Tua Tagovailoa experienced many more highs than lows last fo0tball season as Alabama's starting quarterback. 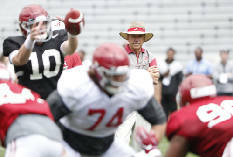 Alabama may have seven new assistant football coaches this year, but not all of them are strangers to the program. 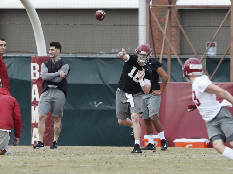 Mac Jones is in the mix of a Crimson Tide QB competition with two Tagovailoas and Bear Bryant's great-grandson. 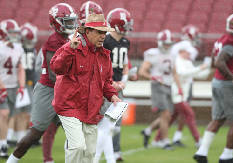 Alabama is one football practice into its 13th spring under coach Nick Saban. 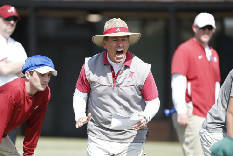 Alabama will conduct its first of 15 spring football workouts Friday afternoon in Tuscaloosa.